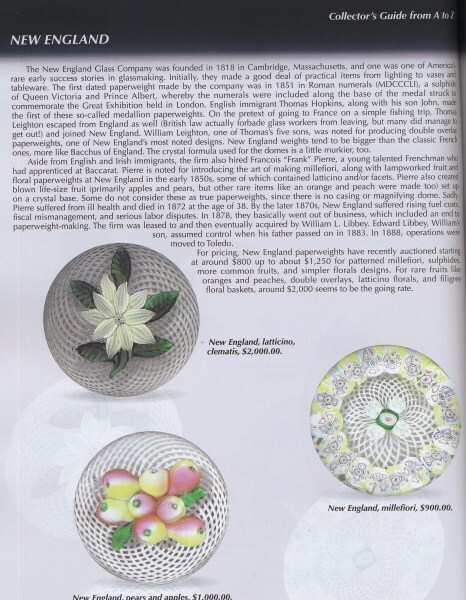 The Collector's Guide to Paperweights provides information on a wide range of glass paperweights. It includes an extensive listing of paperweight makers and pictures of paperweights by each maker along with a value for each paperweight shown. Included are examples from every price range. This book is impressive in the breadth of makers covered. Over one hundred makers are featured. While this book will not satisfy the experienced collector it provides a good inexpensive introduction to the topic. 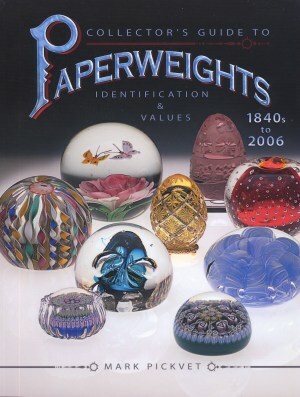 Included are guides to paperweight identification and a history of paperweights and how they are made. 220 pages with many full color photographs. Soft bound. 8 1/2" by 11". 2007.